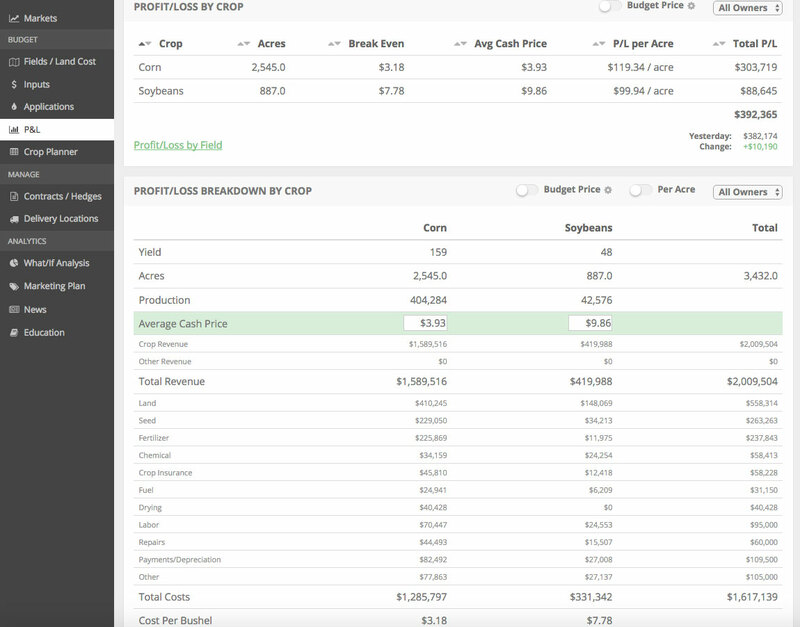 In this week’s New Feature Friday, we review our tool that allows you to analyze farm profitability scenarios under 250+ different price and yield outcomes. Our farm P/L scenario analysis tool uses your acutual sales (forward contracts, cash sales, HTAs, futures hedges (options to come shortly)) and cost of production to build you a “living and breathing” view of your future farm profitability. One of the hardest things to do as a farm owner, is to keep making proactive risk management decisions in a rallying market. The market does a very good job of making us look foolish for our early, “cheaper” sales. A tool like this will allow us to focus on the impact of future decisions rather than having us reflect on past decisions. In farming we need to learn from the past but focus our attention on actions we can take to benefit the farm today. See below for a video highlight of this feature. Also, if you’re interested in trying out the software click the demo button below.